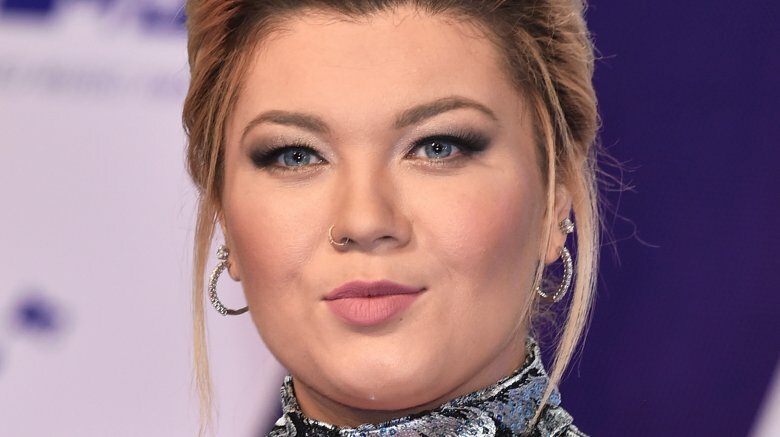 Is Teen Mom OG star Amber Portwood leaving reality TV? On Monday, Nov. 5, 2018, the 16 and Pregnant alum took to social media to hint that her time on the hit MTV series might be coming to an end with a shocking series of tweets. "I can't do this anymore," Portwood wrote to her 853,000 followers, adding, "I have to quit this show." While replying to a fan, the 28-year-old television personality explained, "The heartache this show has put me through is too much to bear anymore. If I will not be shown then there's nothing more to do. My name will not get smeared anymore. I hope everyone is resting easy with the money they've made off of heartache and pain that I've endured." She later wrote in response to another Twitter user, "There's other things that I will do and it will be to help people like I've always only wanted to do!" According to Us Weekly, Portwood later revealed during Monday night's episode of Teen Mom OG that she sadly suffered a miscarriage while she was still with ex-fiancé Matt Baier. As Nicki Swift previously reported, the proud mom-of-two welcomed her first child with boyfriend Andrew Glennon, a baby boy named James, in May 2018. She also shares 9-year-old daughter Leah with her former fiancé, Gary Shirley. At the time of this writing, MTV has yet to publicly comment on Portwood's latest series of tweets. However, Glennon has since expressed his support for his famous girlfriend, telling OK! Magazine on Tuesday, Nov. 6, "MTV silences her voice, oppresses her story, and manipulates footage to constantly cast her in a bad light." He added, "All this while she is struggling with postpartum depression is unreal." While playing equally coy about Portwood's future career prospects, Glennon teased, "There are bigger and better things for her on the horizon. Stay tuned! All she wants to do is help people who deal with similar struggles in life." Elsewhere in the Teen Mom OG sphere, Ryan Edwards and wife Mackenzie Standifer, who both exited the show in July 2018, welcomed their first child together, son Jagger, just last month amid his current stint in rehab. Meanwhile, Catelynn Lowell and Tyler Baltierra are expecting their third child together, another baby girl, to arrive next March.